A keyless lock opened by an arrangement of numbers or letters. Usually available in various finishes, the images below show a brass and a satin chrome version. Often referred to as a digital lock as well as a combination lock, this type of lock is extremely popular in public buildings where there is a lot of traffic and a need for security, but it is not practical to use a lock that is operated by a key. A great advantage for using this type of locking system is that the code can be changed any number of times should security be compromised in any way without the need for fitting new locks and getting additional keys cut for all users. 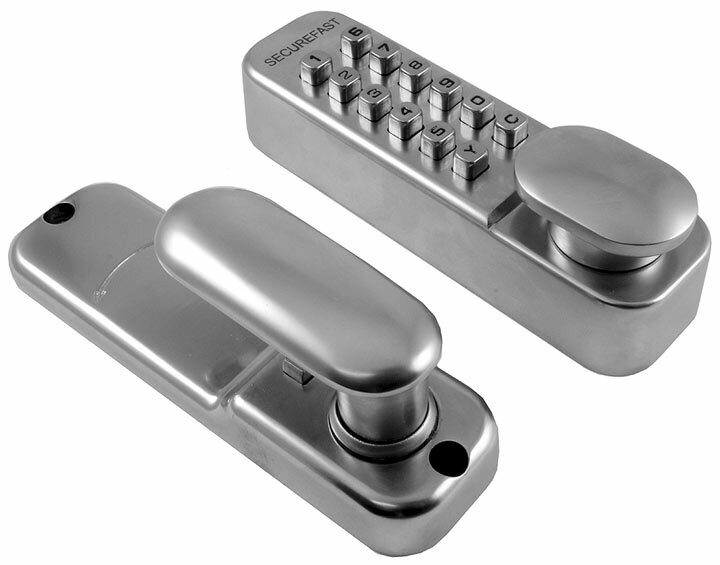 These locks are supplied complete with a tubular latch which works in conjunction with the exterior lock body. These locks are non handed, the code or pad lever can be fitted to either side of the door and a preset combination code is supplied along with instructions on how to set a new code. 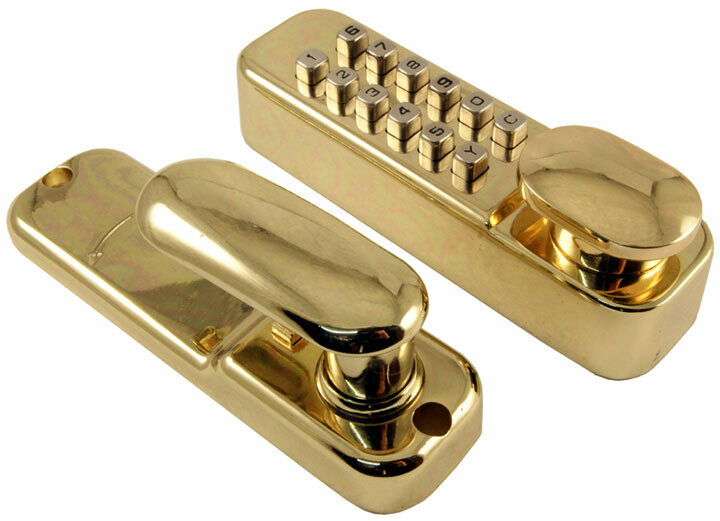 Some combination locks are available with a holdback function. This allows the latch to be fixed in the withdrawn position and enables the door to swing freely. This could be useful in various situations, particularly if taking in deliveries or allowing limited access to non permanent users that does not justify the code being given out. Typically available in brass, satin chrome and polished chrome finishes, it is easy to match these locks to other furniture fitted to the door.